Shaving tools are among the most essential tools that every man would need for his daily life. They have to bring the best look for a man in the morning instantly. No one will like to look a face full of unorganized and untidy facial hair. With the importance of shaving tool towards, it is easy to understand that there is huge number of shaving tools that you can find on the market with different brands and models. As a result, you will surely fell overwhelmed when going shopping for the best razor for men, especially if it is your best time. 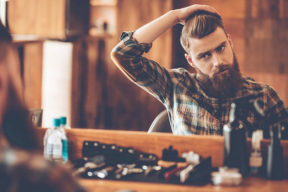 So in case you are searching for a razor, take a look at this guide to see which features that you need to pay attention and what options you can consider to narrow down your choice of best men’s men razor. There are also recommendations of the best razors for you to consider from at the end of the guide. Types: First, let’s look at the types of razor that you can find on the market and see which one that you prefer to narrow down your selection. Disposable Razor: This type of razor comes with plastic handle which is attached to the razor head. After 2 or 3 uses, this razor should be discarded. It is the cheapest type of razor that you can find on the market. It is also very lightweight and easy to control. 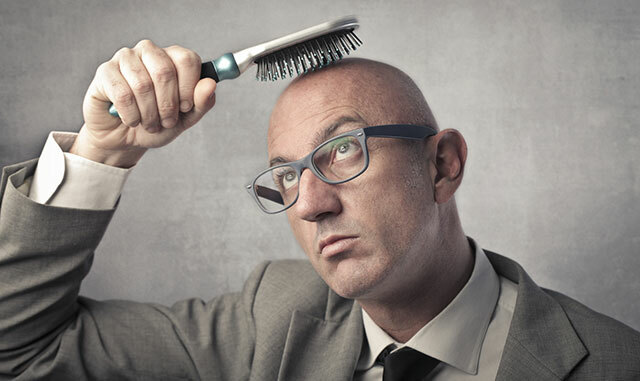 However, a disposable razor is not powerful enough for you to shave denser hair. The poor quality blade also leads to uneven shaves. This type is a great option in an emergency. 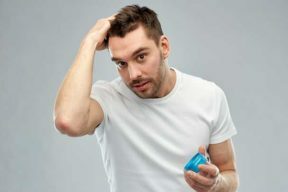 Electric Razor: An electric razor run in either corded or cordless option, or both ways, making it easy for you to shave your facial hair any time and in any place that you want. It is also very quick and efficient. It can change the power of the motor in different areas of your hair. In addition, you don’t have to apply shaving cream with this type of men’s razor. However, most of the electric razors don’t work well if you want to have a close shade. This type is the best option if you are looking for a super convenient razor to work with. Cartridge Razor: A cartridge razor has a plastic or metal handle attached to a flexible center and a razor head. This type of cartage razor is easy to use- not to mention that is also safe. It is the smoothest and would not cause any irritation to the skin. Nevertheless, this type of razor is only as good and durable as the disposable razor as you need to replace it regularly. In addition, it would take a longer time for you to shave your face in comparison with the electric razor. If you are looking for entry level razor with simple features, this one is your best choice. Weight: A razor with a light weight makes it easier and more convenient for you to control the razor. The weight of the razor doesn’t affect the performance of the shaving. However, when the weight is just right and balance, you will enjoy holding the razor more. Hence, it is personal choice. Material: It is important to make sure that the razor that you are going to buy has high quality materials, especially the blade of the razor. It should be made of top grade steel with the ability to resist corrosion and rust in order to remain sharp. In addition, these materials should be waterproof so that you find it easier to wash and clean your razor. 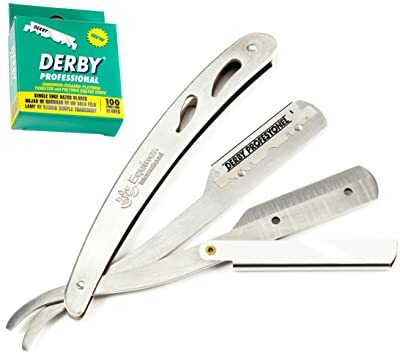 Number of blades: You might think that the number of blades would not affect much about how quick and comfortable you can shave your facial hair. However, it is not true. In fact, a razor with 4 to 5 blades will help you to have a smoother and comfortable shave. 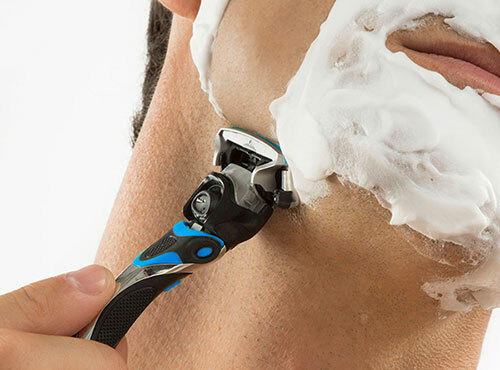 The flexibility of the razor: Make sure that you choose a razor that has flexible blade. It would ensure that the blade would not hurt you when you need it to shave in difficult areas with contours such as under your jaw line. A razor with ergonomically designed handle can also help you to control your shaving more effectively. Lube: Last but not least, you should consider lube as an important factor when choosing the best razor. As you have already known, you should always moisturize your skin before you shave. You can always apply a thin layer of shaving cream. But it would be quicker and more convenient if the razor that you have comes with a built in lubrication strip. Some razors offer very high quality strip with coco butter or Vitamin E. If moisturizing is your top concern and dry skin is the thing that you want to avoid, go for the razor with best lube. Here are my top picks for the best razors that deliver high quality, great performance as well as great comfort while I use them. Take a look at these picks to see if you like to buy any. Its Main Features: This is the number 1 best men’s razor in the Men’s saving accessories in many online sites such as Amazon. It comes with 5 blades and precision trimmer on back. This ProGlide men’s razor is made with FlexBall technology which makes sure that the razor is as flexible as possible, allowing you to shave in the contours area to reach to every hair. Not to mention that the precision trimmer of the back of this razor can you to handle noise and sideburns. The blade of this razor is the thinnest and finest in comparison with other blades that you can find on the market. It is smartly designed to prevent tug and pull effectively. Last but not least, the razor is enhanced with Lubrastrip to provide you with lubricants so that you don’t have to find shaving creams. 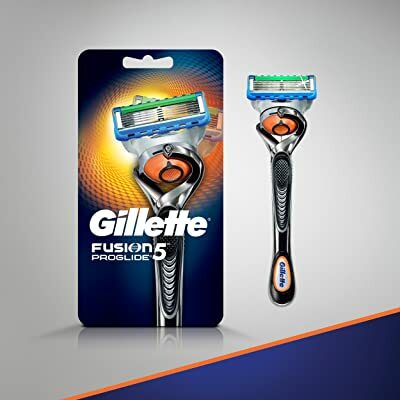 There are more lubricants in comparison with other models of Gillette along with a tough of mineral to help keep the blade to avoid contact with fresh air and remain sharp for a long as possible. This Fusion5 Proglide doesn’t come with cooling technology or proshield lubrication. Its Main Features: In case you are looking for the best razor of the straight type, you can take a look at this option. It comes with a steel finish featuring a classic look of a straight razor. This razor is made with high quality stainless steel, which is resistant to corrosion and will not tarnish even with heavy uses. It has an easy to open blade guard, making it easier and quicker for you to change to new blade. Unlike other low quality straight razors that you can find on the market, the blades of this razor come with rounded exposure to help minimize the risk of cutting your skin. It has a very comfortable weight and ergonomic design to support you to have a comfortable and controlled grip with this razor. Last but not least, there is a box of 100 single edge derby blades which is included in the pack. Each blade can be used for 2 to 3 shaves, meaning that initial investment would be worthy for a full year. The metal on the shank is quite sharp on the edge and would not be filed down. You need to spend a lot of effort and energy with this razor in order to cut denser hair. 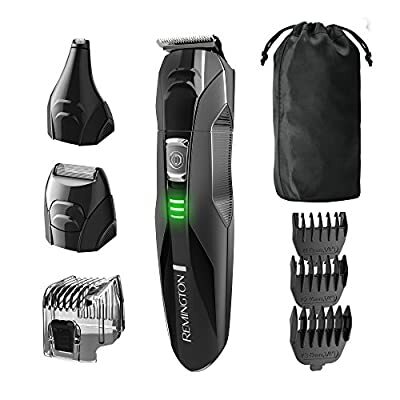 It is the best electric razor in term of offering different needs for different areas thanks to the pack of attachments. You can enjoy shaving any place on your face without any problems. Not to mention that the combs and attachments are easy to put on and off. 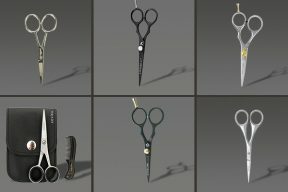 You can change different settings of lengths as well, from 2 mm to 16 mm to cut both of the shortest hair and longest hair on your face. The material of the blades, which are the surgical steel, is of top grade quality. It can be self sharpening and resistant against rust and corrosion. Other materials of this electric razor are waterproof, making it easy for you to wash and clean the razor properly. The razor is balanced in weight. Along with the comfortable handle, it is easy for you to control and guide the razor to the line that you want. You can’t use the quick charge function with this electric razor. Its Main Features: This razor is of the disposable type with 3 blades. 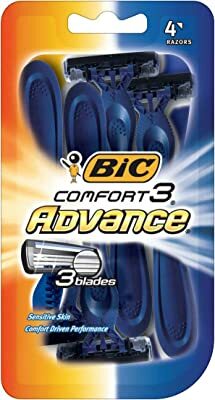 There are 3 blades to provide you with a comfortable and smooth shave. The handle is designed in an ergonomic handle style as well as the pivoting head. Along with a nice balanced weight, it is easy for you to control and handle the razor when you shave. In case you are looking for high quality lube, you wouldn’t be disappointed with this option. It comes with enhanced lubricating strip to make sure your skin will not feel irritated after you shave. The blades are sharp enough for 2 to 3 shaves. It is possible to wet and dry shave with this razor. You can also use gel and foam with it. In the packaged, you have the options of 1 new handle and 12 cartridges for you to replace anytime you need. The features of this razor quite basic. 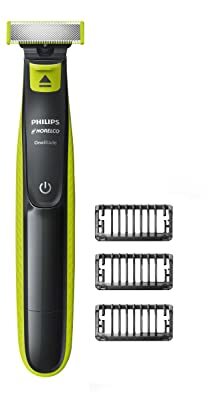 Its Main Features: When you ask other people about the best electric razor that you can find on the market, many people would come up with 1 or 2 products from Philips. This electric razor has everything you would need in an electric razor. It features 4-direction flex heads, ComfortCut Blade systems as well as a pop up trimmer. It is available in black finish. Additional accessories include a shaver, charging cord and protective cap. It is easy for beginners to use and handle thanks to its innovative leading rotary and foil system as well as its 4-direction flex head and blade system. The designs of the head and the handle would make the razor become flexible for you to shave in many contours areas of your face. All of the materials of this razor are waterproof and washable so that you can clean off the razor after each use easily. Not to mention that it comes with a hair collector so that you don’t have to clean after the mess. The blade and sharp and resistant against rust and corrosion. You can use this razor for both wet and dry shave. It takes a long time to fully charge the battery (8 hours). Still, it also runs for about 35 minutes, which is quite short in comparison with other types of electric razors that you can find on the market. Its Main Features: This razor comes with 5 blades featuring a flip trimmer. It is the cartridge type of razor. This is the best razor that is like no other razor that you can find on the market thanks to its unique Hydrating Gel reservoir. Each time you shave, your skin will be hydrated. In addition, this razor comes with high quality instant lubricating protection to prevent itchiness and irritation from happening on your skin. It is worth noting that this razor comes with a flip trimmer to offer a unique design. You can easily get into the hard to trim areas and work with the razor easily. There are 5 blades to make sure the razor runs as smooth as possible on your kin. The weight of this razor is light enough. And with comfortable handle, it is easy to get a firm hold on this razor for shaving. It is possible to wet and dry shave with this razor. You can also use gel and foam with it. Last but not least, this razor comes with a larger guard bar to further enhance your experience while you shave. This razor will lose the sharpness of the blade quicker in comparison with other types of razors that you can find on the list. Its Main Features: This razor is of the disposable type with 3 blades. There are 4 razors in each package. In case you are looking for high quality lube, you wouldn’t be disappointed with this option. It comes with enhanced lubricating strip to make sure your skin will not feel irritated after you shave. Most significantly, the lubricating strip has aloe to add extra nutrition to your skin. 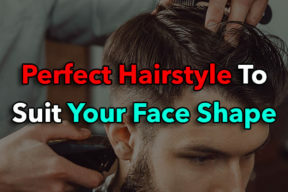 You have to apply a lot of pressure if you want to cut denser hair with this option. 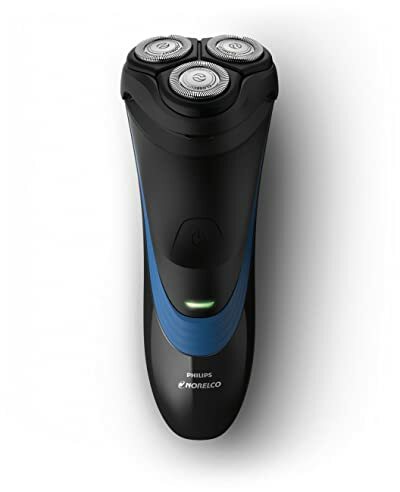 Its Main Features: This Philips Norelco features a rechargeable one blade razor. The one blade is capable of trimming, edging and shaving. Each blade can last for up to 4 months. To fully charge the battery of this electric razor, you need to plug it for 8 hours. It has 45 minutes of shaving time. This electric razor can shave in any length to adapt to different needs and areas of shaving. You can change to different comb length settings of 1, 3 and 5 mm. The blade of this electric razor is dual sized with sharp edge for precise edging, helping you to trim precisely. In addition, the Oneblade has a flexible head with contour folwoing to help you trim and shave all areas of your face and prevent it from cutting your skin effectively. With the dual protection system, your skin is maintained at the highest level of comfort. This electric razor has a fast moving cutter which can run for 200x per second to make sure you have a quick and efficient shave. This razor for men would be harder to use for beginners as it only has charging indicator and you need to adjust your pressure when you shave in different areas. Moreover, it tends to be quite sharp on your skin and it would not be able to do closer shaving. 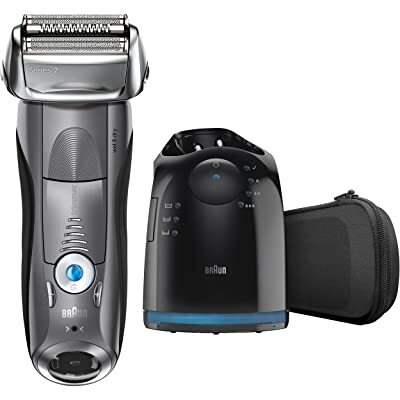 Its Main Features: Here comes another electric from the best electric razor brand – Braun. 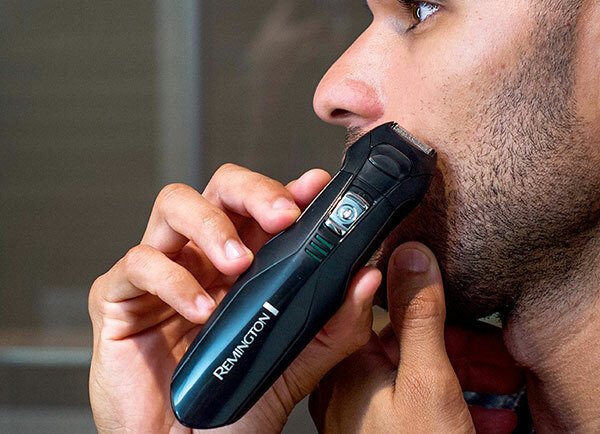 This electric razor has 4 shaving elements and 5 shaving modes. Like other electric razors from Braun, this razor uses the Smart Sonic Technology with the Active Lift trimmer. There is a LCD display with grey premium finishing. 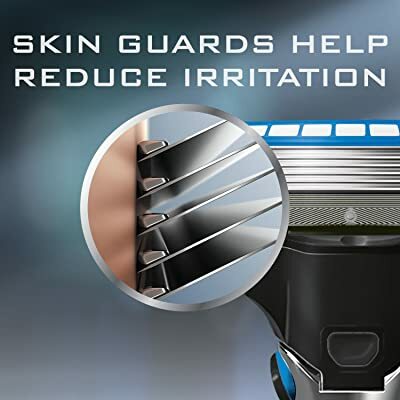 It is one of the most innovative and powerful razors which can run up to 1000 micro vibrations per minutes. This allows the razor to work nicely and quickly on areas with denser hair. With the Active Life trimmerand the 2X OptiFoil, it is easier for you to have smooth cuts as the trimmer can lifts and cuts the shortest hair which lay flat. In addition, you can cut in the most curved areas without any difficulty. It is worth mentioning that this razor is capable of cutting the shortest hair of around 0.5mm. There are 5 different types of shaving modes that you can quickly adjust for it to match with different needs of your shaving experience. It can run from the extra sensitive to intense. Moreover, this razor comes with the 5-action, alcohol based Clean and Charge stations of you to easily clean and lubricate razor. All you need to do is press a simple button. The materials of this electric razor are of high quality with sharp blades. The battery of this electric razor can last for several years with frequent uses. One of the biggest weaknesses of this electric razor is that it could be used for wet shave. Its Main Features: This razor comes with 3 blades. It comes with high definition turbo cutting blades ad lubricating strip. 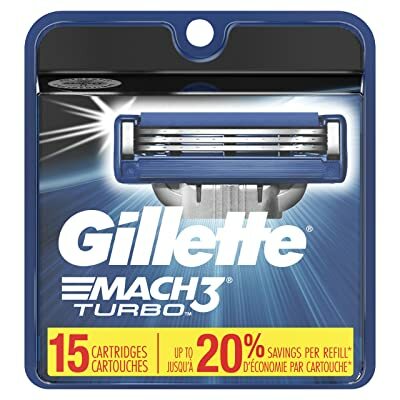 This type of razor is definitely an enhanced version of the previous versions of the Gillette such as the Gillette March 3. This razor is designed to help you to have a closer shave without making your skin feel irritated or itchy after you shave. The 3 blades technology with anti friction coating also enhances your shaving experience. There is an enhanced lubricating strip to make sure that your skin is well moisturized when you shave for a 100 % non redness shave and a great slide. The blades are sharp, even after 10 times of uses. You can enjoy using this razor for both wet and dry shaving. You can also use gel or foam with this product. The razors fit all of the Match 3 blades. It doesn’t come with the cooling technique. The blades are quite thick and bulky. As for the types of razors, there have already been 5 options with different benefits and drawbacks for you to choose from. Other features that you have to consider if you want to buy the best razor for men are the number of the blades, the quality of the materials and the flexibility of the razor, to name just a few. 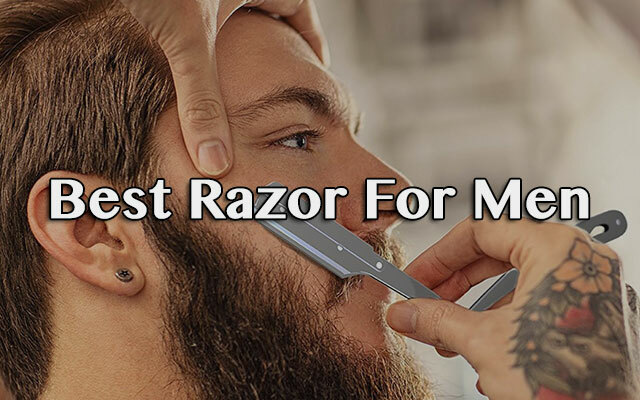 As long as you note down all of the important factors that you have to pay attention to as well as your specific needs and preference, you would be able to pick up and buy the most suitable razor. I hope the guide and review above can support and quicken your hunt for the best shaving tool that you can find on the market.